The glorious twelfth is a term used usually to refer to the 12th of April, the start of the hunting season in Italy for the common mosquito (Bitius Leggius) and to a lesser extent the tiger mosquito (aggressive-bitius). Experienced mosquito hunters will have a preferred weapon of choice; from the low tech ‘attempting to hit them with the flat of the hand’ to the high tech use of modified squash rackets which release a thousand volt current when applied to a poor unsuspecting mosquito. Hunting is not restricted to woodlands and gardens. Many households incorporate a number of ingenious devices to trap mosquitoes inside the house so that the family can hunt the mosquitoes at their leisure. They may include netting over the windows and doors or netting over a bed. Hunting mosquitoes can also take place at night. 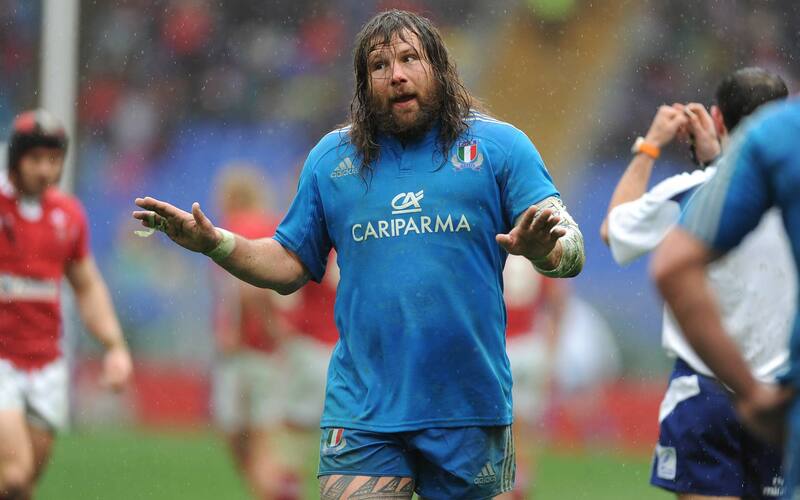 To an Italian the pure joy of waking up in the middle of the night to the sound of the whining noise of a mosquito trapped in a bedroom can only be equaled to Italy winning the Six Nations Rugby Championship, which to date they have failed to do. Look lads, this time next year we will win. To ensure that there are sufficient mosquitoes to last from the Glorious Twelfth through to the 3rd of November; which is not only the end of the hunting season but also my birthday, farmers are encouraged to flood low lying fields to provide adequate water for the mosquitoes to breed. 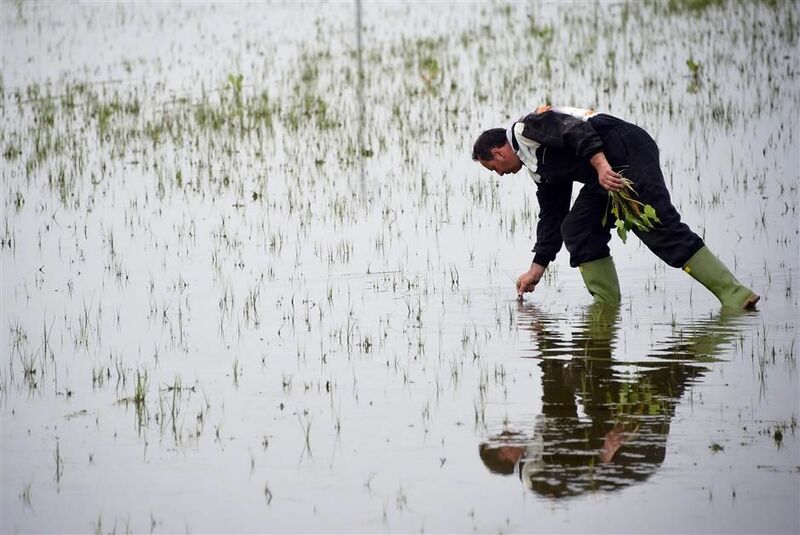 A by-product of flooding the fields during the summer is the production of rice for risotto, which the farmers sell to supplement their income. Vercelli in Piemonte is the centre of mosquito and rice production. In America hunters wear high visibility clothing to identify themselves to other hunters. In Italy we are a little more fashion conscience, Italian hunters therefore identify themselves by spraying their bodies with liberal doses of noxious smelling sprays. The most common odour is citronella. The monferrato area of Italy is world renown for not only the quality of its mosquitoes but also their quantity and size. Oh, good! I’ll bring several of the little rascals that I’ve trapped already, for the taxidermy sessions. Maybe the season starts earlier in Tuscany?? I’ll also sign up for the wine and grappa, if there are spaces still available. Do you take MasterCard? Well done on trapping them. Some over enthusiastic hunters splatter them against the wall. They are then very difficult to stuff and mount. Yes we do take master card and also library cards. 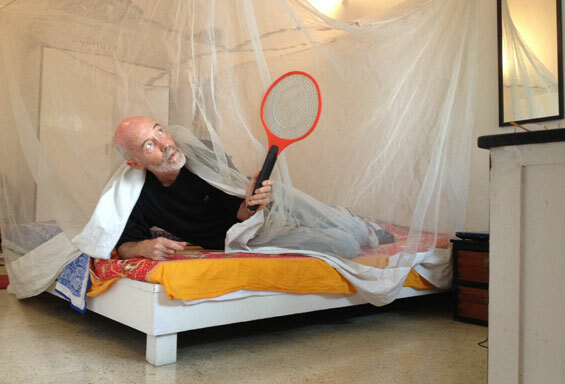 I had the netting over the bed while living in Grenada (BWI…not Granada which is in Spain) and it was great at keeping the beasties out of my bed and away from my ears….but the night a bat( small one and I’m not afraid of them) decided to venture into the bedroom caused my cat (who was under the net on the bed with me) to jump for it( the bat) and bring the entire contraption down on our heads. The bat survived but my husband almost died laughing at us (he had been in the other room). Good luck with your classes. I hope Yvonne didn’t leave her library card in OZ. The ones mounted in the hall or my prized collection of tiger mosquitos that are mounted in the upstairs loo? I think I am rhesus b monkey positive or was it negative with a little grappa mixed in. I would like to sign up for your courses – although I should warn you that I am almost at master level, having previously managed to kill a mosquito, in my kitchen, with my bare hand on more than one occasion. Will you be branching out and doing courses on the capture and taxidermy of wasps? It’s a shame about the wasp hunting, but perhaps regulations will change (along with the time it takes to install a telephone line and an internet connection in Italy 🙂 ). We couldn’t actually sit outside last summer because of the tiger mozzies. We’ve got the electrocuting rackets and some smelly anti-moz cream. Summer’s become a bit of a bore really! Loved this! Very funny. However I do think Italian mozzies are wimps compared to the African ones. This is true, but the Italian mosquito has a lot of style. Do you have a special price reduction if I sign up for a wet wooden spoon defense course too? I hate mosquitoes, but I also hate using chemical guck to get rid of them. Apparently geraniums on the windowsills keep them out. But as I forget to water them and I hate the smell of geranium leaves, it’s no good for me. I remember being in Pavia once and wondering why there was a pervading smell of citronella in the streets. 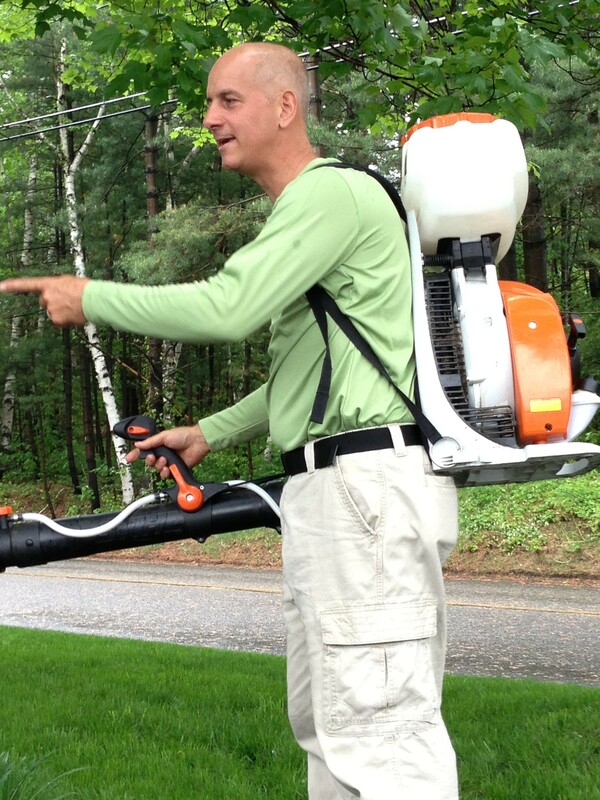 Then I say the cloud of midges and mosquitoes that were following us down the street, and I understood. I am trying to dissuade women from attending the wet wooden spoon defense course, in the wrong hands a wet wooden spoon can be dangerous. I am thinking of running a wine appreciation club we could negotiate a price for this course. I hate spraying chemical gunk as well, last year my training paid off and I wasn’t bit too much. My daughter looked like spotty dog after her visit. Maybe if you bath in wine and drink a bottle before you go to sleep you could put the mosquitoes into an alcohol-induced coma. 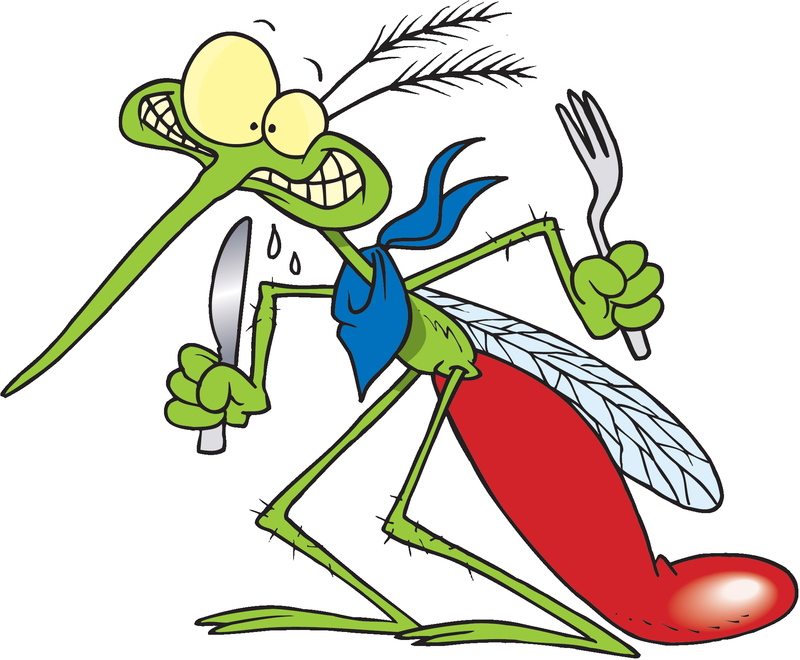 Allegedly mosquitoes don’t like blood with a high concentration of alcohol. I suggested to Mrs S that I should conduct a scientific experiment and stay completely pissed through the summer months. I was hoping to visit Italy over the summer but needed a good reason to do so. Too bad coming for a mosquito swatting course will not hold as a valid reason since there are no mosquitoes in my neck of the woods. Let me try and think for another reason….. I can send you some of our mosquitoes, we have plenty. MM has asked if we will be running a Wet Wooden Spoon defence course for women with lazy or naughty husbands. If enough people show interest Mrs S may run a course.